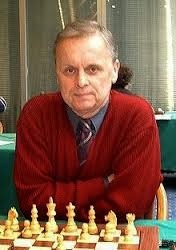 The World Senior Chess Championship 2013 begins next week in Opatija (Croatia). Here is an interesting interview with Grandmaster Miso Cebalo, former World Senior Chess Champion, one of the most representative players of Croatia. GM Cebalo, so “Opatija is back!”. This nice town of Croatia will host again the World Senior Championship only after two years from the previous edition. In your opinion which is the ‘plus’ owing to Opatija was chosen again for this event? A: There are several reasons why Opatija was chosen again, but the most important one are the good impressions of all the players who have participated two years ago. There is no better advertising than what is called in latin "fama per urbem". There are already more than 250 players that confirmed their participation. They are coming from all over the world, from the 5 continents and 50 different countries. There are some important ‘new comers’ and many well known champions. It would be nice if you can give us a portrait of some of them. The number of players oscillates from one day to another, today there are 242 registered ( 27 women, 215 men ). Speaking about "new comers", there are 3 players who will considerably sharpen the fight for medals. They are Viktor Kupreichik from Belarus, Branko Rogulj (CRO) and the last, but of course not least, a new Danish GM Jens Kristiansen, who appeared for the first time last year in Greece and won the Championship convincingly. Some other illustrious names are: Evgeny Sveshnikov (LAT), Yuri Balashov (RUS) and Krunoslav Hulak (CRO). There will be also a couple of former Senior World Champions like Evgeny Vasiukov (RUS), Oleg Chernikov (RUS), Mihai Suba (ROU), Anatoly Vaisser (FRA) and Yours Truly (CRO). Except all these well known names I would like to present to our readers another player who is a very interesting person. His name is Mihail Davidov and he is playing under the German flag. He started to play in senior competition in 1995, which means that the Championship in Opatija will be his 18th appearance in a row! Quite an achievement I would say. By the way, he was one of those players who, two years ago thanks to the very nice weather, enjoyed almost every day a bath in Adriatic sea. What about the female championship? In your opinion will Nona Gaprindashvili will succeed in regain the world senior title? I would like such an outcome very much indeed, but in the senior competition, besides playing strength where Nona is an absolute favourite, there are two other important factors - the number of years on your shoulders and your health condition - which are not in her favour. 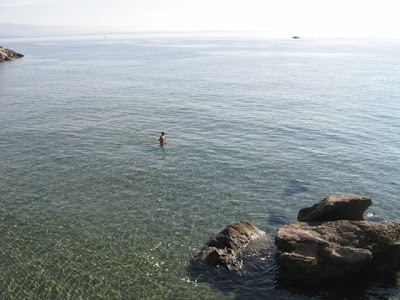 Opatija is known for its fine weather: we remember that two years ago many players enjoyed to take a bath in the sea. Do you know if the organizers have already made the weather forecast for the days when the world senior championship will take place? I don't know for the organizers, but it's easy to find such information on the internet. According to what I found today, temperatures will be a bit lower than two years ago, from 11-13 degrees, but the good news is that we will have at least 10 sunny days.